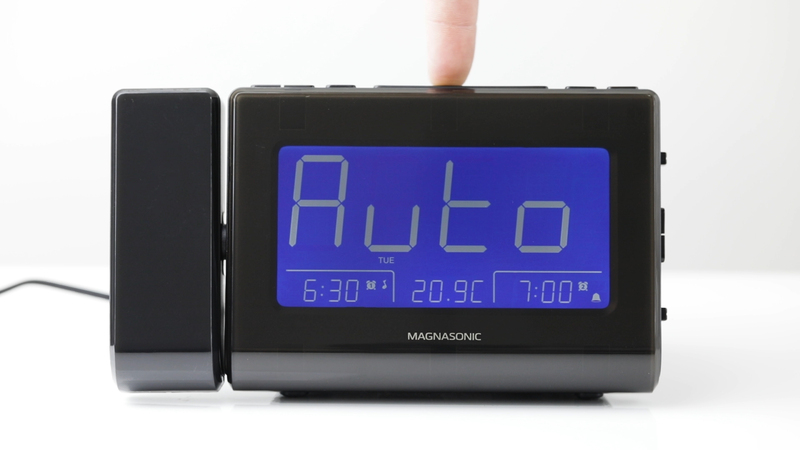 The Magnasonic CR65 USB Charging Alarm Clock Radio includes an adjustable dimmer so you can see your clock day and night. Auto-dimming adjusts automatically using a sensor on the back of the clock. When the room is dark, the display will darken. When the room is bright, the display will brighten so you can easily read the time regardless of the time of day and lighting in the room. For the sensor to work correctly, the sensor should be kept clear of obstructions. If the clock is placed in a dark area such as within a shelf, it may not display correctly on auto. I agree to receive Magnasonic's newsletter. Copyright 2017 | Magnasonic | All Rights Reserved.